The Bose QuietComfort 20 in-ear noise-cancellation deliver great audio when the awesome noise-cancellation function is active, however, the sound quality takes a hit when noise-cancellation is switched off. The Bose QuietComfort 20 noise-cancelling earbud headphones have received positive reviews for their remarkable noise cancellation and their great comfort. Users also liked the ‘aware mode’ function, that allows mid-range frequencies for the purpose of hearing the surroundings to an extent. The sound is said to be excellent when noise-cancellation is on, however, it takes a slight hit when the noise- cancellation is off. While the noise-cancellation is awesome, their is an audible hiss when active, which goes unnoticed in noisy areas, but it can become overbearing in quieter areas. The Bose QuietComfort 20 in-ear headphones are awesome at cancelling out noise and offer awesome audio when noise-cancellation is active, but the hit takes when the noise-cancellation is inactive may put some users off. 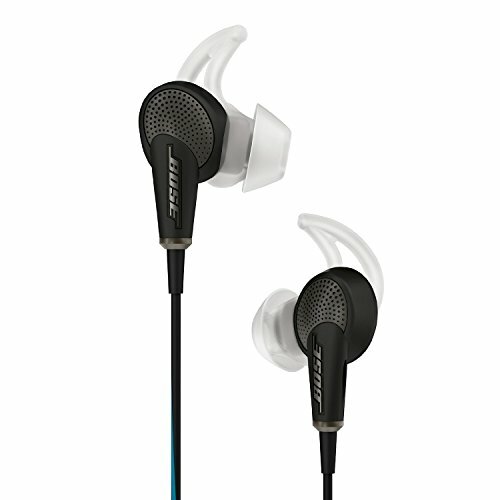 Despite some downsides, including a high price, the Bose QuietComfort 20 offers the best noise-canceling in an in-ear headphone and should tempt frequent travelers looking for a more compact alternative to a full-size NC headphone, such as the Bose QuietComfort 15.